Sculpture by David Romano shown in the SOMI Sidewalk Showcase. 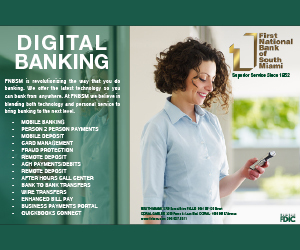 held on the second Friday (6-9p) of the month, from October through March. 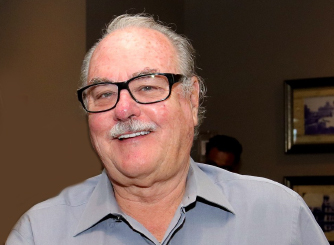 Unlike other communities which have multiple art galleries that host art night events, South Miami relies on its tree-lined sidewalks and responsive retail establishments to host artists. 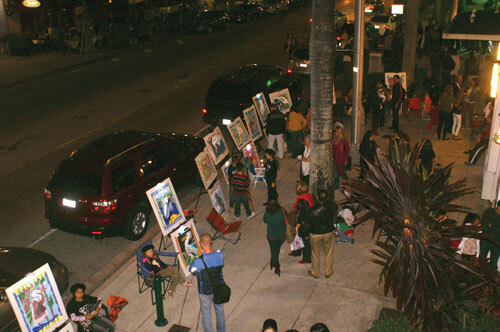 Art night visitors walking through our town center get to appreciate the visual and performing arts while also experiencing the uniqueness of our charming retail/restaurant district. 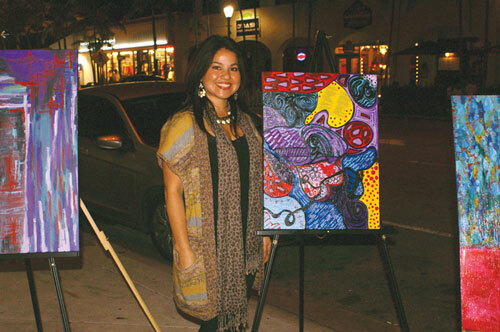 And along the sidewalks in town both established and emerging artists exhibit their work as part of the SOMI Sidewalk Showcase. 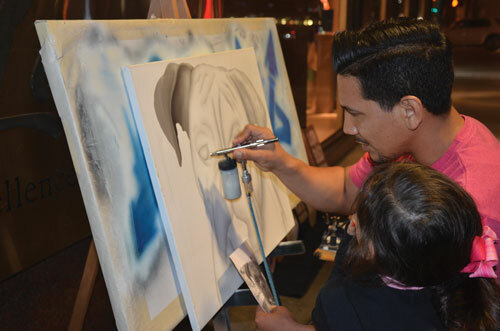 Students of visual and performing arts programs from area schools participate in making the event a very special family-oriented ‘hometown’ Friday evening event. 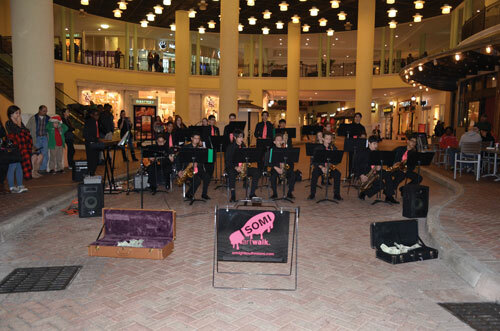 Members of the South Miami SrHS JROTC serve as Artwalk Ambassadors, assisting visitors to our town center. 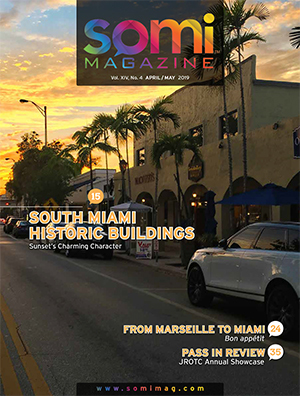 HOST SPONSOR VENUES for the 2015-2016 Season are: Arango, Bhoom Shanti, Isabel Home Accessories, Lucy Agnes, RESPICE Independent Republic, Si Belle French Boutique, The Art Fine Art & Collectibles, the Tropical Audubon Society at the historic Doc Thomas House, VIGI Miami, the Wirtz Gallery at the First National Bank of South Miami and 3Eleven Media in the Crossroads Building. 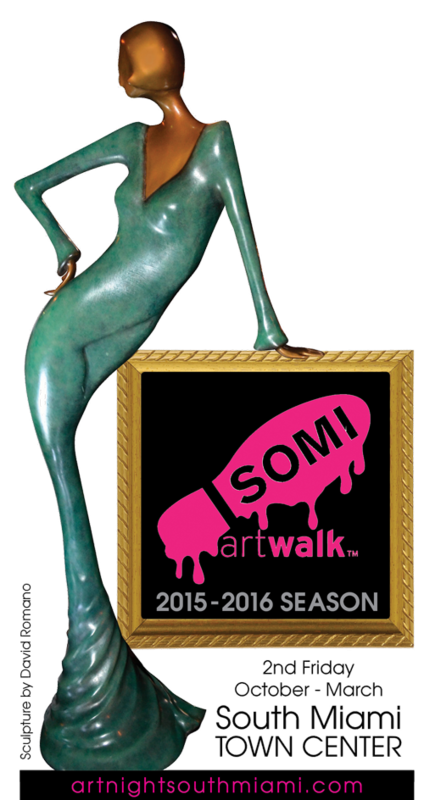 SOMIartwalk© is co-presented by the City of South Miami, ChamberSOUTH and SOMI Magazine, and sponsored in part by ChamberSOUTH, First National Bank of South Miami, Team FootWorks, JES Communicatons, Massage Envy, My Cotorra, Splitsville Luxury Lanes, The Dog from Ipanema, The Shops at Sunset Place, Town Kitchen & Bar and 3eleven Media. 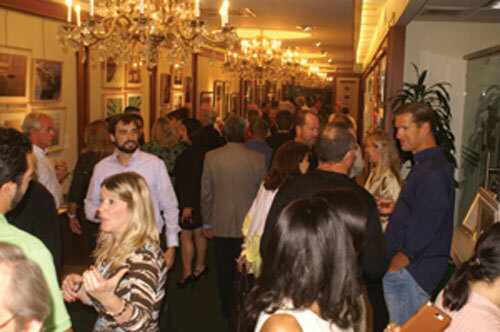 Please visit our website: artnightsouthmiami.com.